Community Environment Council in Santa Barbara held its first Carrotmob on 10.10.10 as a part of 350.org’s Day of Action. They’ve been mobbing local spots in the area ever since. 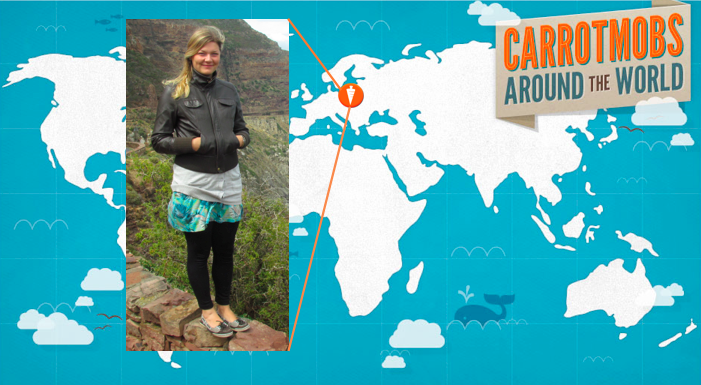 We spoke to Michelle from CEC about why she’s a Carrotmobber. 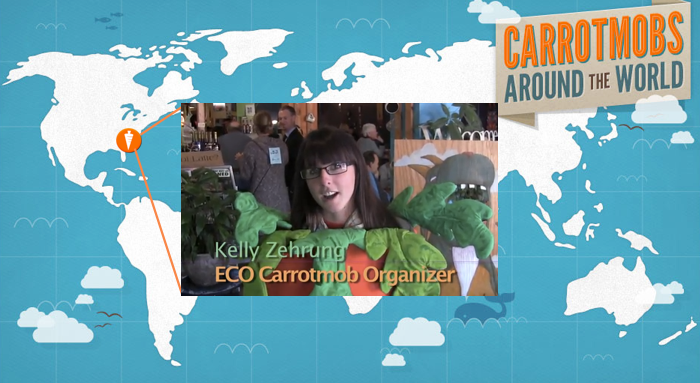 Q: What was it about Carrotmob in particular that drew you to the movement? A: The events are a tangible and affordable way for our supporters to contribute to the clean energy movement. 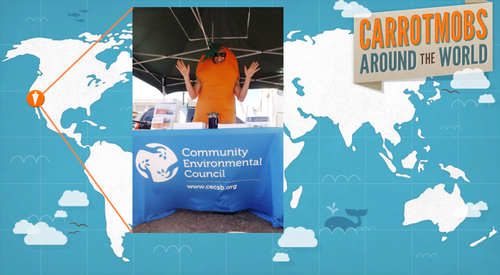 CEC promotes solar energy and electric cars, but Carrotmobs are a way for anyone to get involved, with only a few dollars. Q: What inspires you to Carrotmob? A: We Carrotmob because everyone wins. Clearly, the business wins by making extra money for energy efficient upgrades. CEC and our supporters win because we’re able to engage our community to make a difference at the local level. And, of course, the planet wins! A: When the installation begins! When we mobbed Coffee Cat, we raised money for an energy efficient lighting upgrade. It was cool to see the electrician show up with his ladder and get to work. It represents the positive energy of all the people who came, all the money that we raised, and all the effort it took to organize the event. It makes it all worth it!